Vi har vanskelig for å se for oss countrysangeren George Jones med pekestokken i hånda, men i følge nyhetsbyrået AP er det akkurat det som er under oppseiling. Jones er nemlig i ferd med å etablere sitt eget »universitet«, for fremtidige honkytonksangere. Hvorvidt kurset også vil omhandle valg av riktig bourbon vites ikke i skrivende stund. NASHVILLE, Tenn. (AP) - Country-music luminary George Jones wants to share his knowledge of the industry as part of a just-launched »country music university« named for him. Dedicated to teaching students how the music industry works and how to break into the business, George Jones University will assemble its first 3-day session in late March, school officials said Wednesday. The kickoff session, which likely will be held at Jones' Nashville-area home, will be followed by similar quarterly seminars. The cost for each session will be $300 per student. Music executive Tandy Rice, who has been tapped as dean, said George Jones University was modeled off Trump University, established last year by New York real estate mogul Donald Trump. Each day's sessions will be moderated by Rice, formerly a Belmont University music business professor Country Music Association president. Besides Jones, the school plans to bring in guest lecturers such as Ralph Emery, Tom T. Hall and Hank Williams Jr. The seminars will focus on music publishing, recording contracts, artist management and bookings, life on the road and the politics of Music Row. The history and traditions of country music and its legendary icons also will be covered. The school is a for-profit group, though partners have pledged a portion of all profits to Middle Tennessee children's charities. 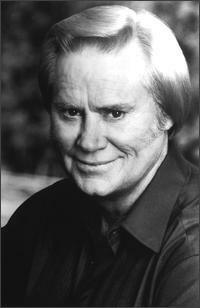 George Jones U even has a mascot it got from the singer's nickname, a possum.